My association with the town of Tewksbury is long, and I like to think deep. Many, many years ago I remember attending an event in which several dignitaries from the town of Tewkesbury, England were the featured guest. Honestly, I was there for political reasons, more than historical. At that time I learned that Tewksbury, Massachusetts and Tewkesbury, England kept connected through a local committee called the twinning committee. I remember being less than impressed with the American and English association and I continued to think that way until last week. Last week, I watched the BBC Series The White Queen, which centers around the English King Edward IV and several women who jockey for power around him. What does this have to do with our town of Tewksbury you are probably asking? 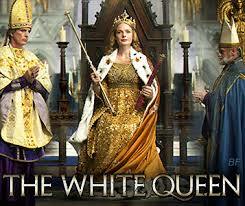 Well the series The White Queen reveals the prominent role the town of Tewkesbury, England had in the War of the Roses. It was in Tewkesbury that Edward IV finally defeated Richard Neville and regained the crown, a battle many consider to be the most important of the War of the Roses; it is in Tewkesbury Abbey that Edward IV’s brother George is buried along with his wife Isabel; and Henry VI’s son Edward, Prince of Wales is also buried in Tewkesbury (Henry VI is the king Edward IV replaces “twice”…it’s a long story). Now, thanks to The White Queen when I think of the twinning of Tewksbury, Massachusetts and Tewkesbury, England I have a whole new appreciation. For Shakespeare fans it was at Tewkesbury where the “winter of discontent was made glorious summer by this sun of York.” Several years ago my church, Tewksbury Congregational, hosted the Mayor and Vicar of Tewkesbury. 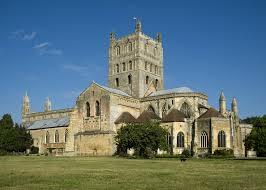 In high school I went on a school trip to England and a friend and I took a side trip to Tewkesbury. At the Abbey there was a note left for me by the Mayor suggesting we come to town hall and he showed us around a bit. In the guest book the Mayor pointed out that just a few lines above where I was about to sign was the name of another member of my church. Interesting, thanks for sharing this. Visiting England is one of my life goals and seeing Stratford, England and Tewkesbury, England would be a big part of that trip. Oh yes, Shakespeare ends “the winter of our discontent” in his play “Richard III” when Henry VII ends the War of the Roses by killing infamous Richard. Actually, “Richard III” is bookended by two battles. When the play opens the Battle of Tewkesbury has just ended and it is Richard, then Duke of Gloucester, who opens the play by saying, “Now is the winter of our discontent made glorious summer by this sun of York.” That is, he is refering to the brief restoration of Lancastrian Henry VI as winter and with the Yorkist victory at Tewkesbury, the “sun of York” (ie Richard’s brother Edward IV) has brought a glorious summer. There is also a play on the word sun (Shakespeare is known for puns.) since it could make just as much sense as “sOn of York” since Edward was the son of the Duke of York who had been contesting the throne with the Lancastrian Henries before he died. The battle at the end of the play is the Battle of Bosworth, and that is where Henry Tudor defeats Richard III and claims the crown as Henry VII. As an interesting political aside, during college a friend and I rewrote “Richard III” to tell the story of the Watergate scandal and related matters with President Nixon (a Richard, of course) in the title role. We matched up all the characters in the play with figures in 1970s politics. It was actually amazing, and almost scary, how much we DIDN’T have to change! Very interesting to read about both cities. I’ll try to follow what you are writing.